The chances are that you’ve heard of SETI: Search for Extra-Terresterial Intelligence. It’s a poorly funded exercise in pointing radio telescopes of various kinds into the sky and seeing if there is any evidence of intelligent life. Not just life, which, frankly, is likely to be everywhere, but intelligent life. Intelligence to human levels, where we’re able to adapt environments, develop language and wipe ourselves out, has only ever happened once in over 3.7 billion years of life on earth. That makes it quite special. We weren’t created, we weren’t engineered: the journey towards humanity was simply the result of a lot of false starts, shed-loads of time and some incredibly fortuitous situations. In our case, evolution won. The sheer size of the universe means that the chance of humans existing as a lone beacon of intelligence is remote. As we’re getting smarter, we’re finding more and more planets of varying sizes in different configurations. If there’s one thing astronomers have learned in the last couple of decades, it’s this: the galaxy is swarming in planets. Our solar system is far from unique and indeed only covers a microscopic range of the possible configurations of planets. If there’s one thing astrobiologists have discovered in the last few decades it’s this: life is less fussy about where it appears than we thought. Life, it would seem, is an inevitable consequence of the “right conditions” and those conditions are wider and less strict than we imagined. 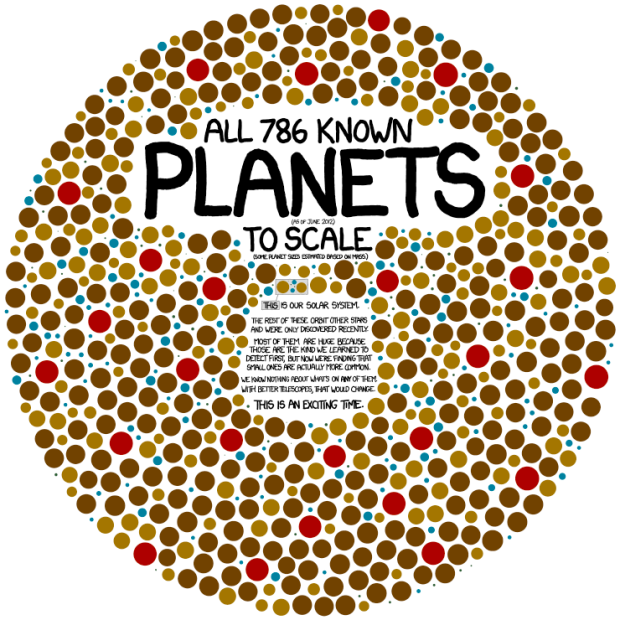 For the full-scale version of this wonderful image from XKCD, click here. Honestly, you want to. It’s amazing. Whilst our telescopes are not good enough to see enough of the right sort of alien worlds to actually visually (or chemically) detect evidence of life, they will be pretty soon so long as we don’t retreat into the middle ages in the meanwhile. Intelligent life, though, is harder to find. Let’s examine why. We’ve screwed with the atmospheric composition. Should we all drop dead this afternoon, it’ll change pretty quickly. In the meanwhile, the fact that it’s changing at all as fast as it in the ways that is is would look “un-natural” to external observers scrutinising Earth from afar. We’ve been broadcasting our existence in the form of radio and the such. We’ve lit up the EM spectrum like a Christmas tree and this can be detected a long time ago from a galaxy far, far away. 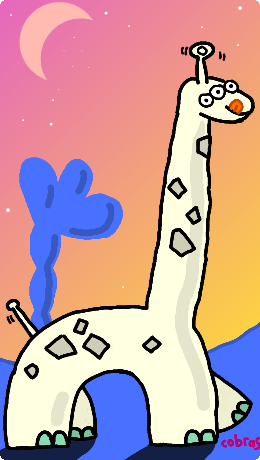 The giraffe-like three-eyed Leedle Loodle of Loudlezzarr 5. Incredibly intelligent all-round nice aliens. So that’s a 150 year window in 3.7 billion years that our existence as an intelligence has been something the three eyed Leedle Loodles from Loudlezzarr 5 have been able to detect us. There’s a catch though. What would Earth’s earliest radio receivers have made of modern transmissions? Encrypted, compressed, digital transmissions? Would they simply have looked like random noise? Probably. As our technology advances, the way we communicate changes beyond recognition from generation to generation. With future spookiness like quantum entanglement or some other thing with the word quantum involved, the window of simply pointing telescopes in the sky and detecting other civilisations from their electromagnetic radiation is probably only a couple of hundred years wide for every intelligent race. That broadens the odds considerably: we might be washed in potential evidence that we simply can’t recognise. Of course, thanks to the incredible unfurling discovery that the Milky Way is full of planets, we now have increasing numbers of targets to specifically point at. This helps, but with a galaxy full of 200 year windows of opportunity floating around, most of which are probably mere ghosts of civilisations long lost, it’s still going to be a tough find. On top of this our own window is only 150 light-years or so across only the tiniest teensiest fraction of the stars we see would have the faintest idea that there’s even a potential for us to exist. There’s another possibility, of course, that aliens simply don’t want to be found. Through the eyes of an alien civilisation, we’re undeniably dangerous. We’re top of the food chain on our planet by a wide margin and concepts like “animal rights” exist only because we choose to provide them. As someone once said, you can bet your most valuable organs that if tigers or pandas suddenly gained the ability to invent, improve and use firearms that any animal rights they might enjoy right now would vanish pretty fast. Alien life may take the same view about us: we have taken our own planet from each other with incredible force and violence. Some of the crimes we have perpetrated against ourselves in the name of something or another are, to an outside observer, good examples of exactly why we are not and may never be ready to join a larger community. Is a pre-emptive strike by a more advanced civilisation a wise move simply as an insurance policy against their own long-term survival? 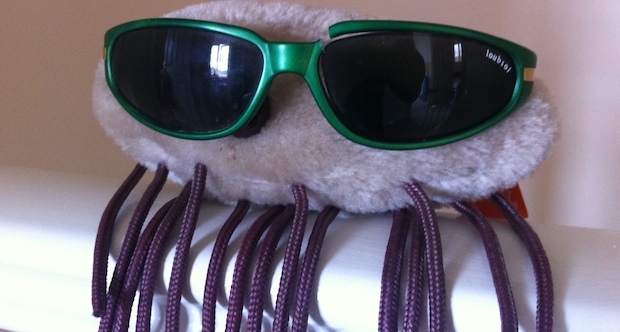 You know, nothing personal dudes, but just keeping the neighbourhood clean of nasty infections? Perhaps prancing loudly around the open plains of the galaxy isn’t necessarily a good idea if it’s full of hungry, watching leopards. If this is the case then, of course, it explains rather neatly why we have not heard anything1: they don’t want to be heard and the first thing we’ll know about it, albeit briefly, is a swarm of asteroids the size of small countries approaching Earth at near light-speed. But still, excuses excuses. It’s really easy to overlay exaggerated versions of our own worst personality traits and general lack of table manners to other intelligences and fear the worst; plausibly, given that one doesn’t reach the top of the food chain gathering around a camp fire, making daisy chains and singing songs. It does seem that with all this in mind, finding ET is a little like searching for a single germ called Bob who’s wearing a disguise and could be anywhere in the Atlantic ocean. SETI, therefore, seems – on the surface – to be a global lottery with incredibly poor odds. But we should still look. Why? Because finding signs of intelligence other than ourselves changes everything. It’s the lottery where if SETI win, we all win. It is exceptionally unlikely that we’re alone in the universe but the sheer physics of the situation along with the breadth of time involved makes it hard to imagine finding anything beyond just evidence of intelligence: we may see the ruins of long lost ET but it’s highly unlikely we’ll simply pick up the blower to them. But the magnitude of what it does to us, as human beings, to discover that we’re not unique or alone could have a sobering effect that just might assist us in a) not blowing ourselves up, b) not reverting to medieval beliefs and c) reminding us that the biggest most exciting developments in our history have come from exploration. We’re explorers, not sofa-sitters. Our curiousity is what has driven us to achieve all the wondrous things that have made our lives more privileged than ever. I think of the discovery of alien intelligence as a quick whizz through the Total Perspective Vortex. Suddenly, briefly, we’ll get a glimpse of our place in a universe of wonders we’ve yet to find. The majority will always find excuses not to look around the next corner. It’s too expensive. It’s pointless. It’s risky. We’ll find nothing. These people are not the pioneers of our future. In and amongst our insignificant race of bipedal creatures there are those whose curiousity is enough to lift up every rock just in case. Finding the occasional rattlesnake is a risk worth taking. Oh, and rattlesnakes. So long as our society doesn’t simply defer everything we don’t understand away to “magic fairies for grown-ups” then we’ll keep looking. I can’t wait. In the meanwhile, fingers crossed for Mars Curiosity – due to touch down on Mars on the 5th August 2012 US time (6th August, 6:31AM, UK time – a good half hour after the alarm daughter goes off, so I should be glued to the set!). You should tune in. It’s exploration and the human spirit in action: risky, exciting and pushing the boundaries of what we understand about ourselves and the universe around us. May the force be with you, NASA! Update 10th August: This is fun: Simulating the vapourising of Earth to help know what to look for in Earth like exoplanets: what happens to ’em when you do bad things! We’re getting really quite smart at this stuff. 1 This is Fermi’s paradox: the universe is a big place, why have we not seen evidence of intelligence? This entry was posted in Miscellaneous rubbish, Space and tagged aliens, cobra art, ET, germs, giraffe, leedle loodle, Mars curiosity, seti. Bookmark the permalink.